Wondering how to get into the Construction Industry without any experience? I have traveled to 3 different countries in the past year, and one thing is certain; construction is booming. Statistics show in the USA alone that there are more jobs available than there are people looking, and many of these jobs are in construction. 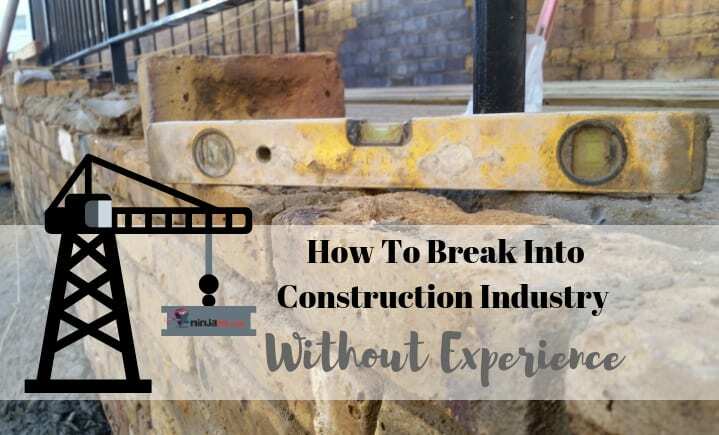 If you’re interested in the construction industry but you don’t have experience or a learned trade yet, in today’s article will be of interest to you—we are talking about entering the construction workforce without experience. There are dozens of areas to think about. Read some articles online, visit your local library, or talk to a person or two you may already know in the industry. If there is construction going on in your neighborhood or town, drop by and talk to a few people on lunch break, or that are coming to or leaving the site after work. These steps will give you a “feel” for what daily life is like for your new career. If you are currently in high school, stay there!!! Most jobs now days require a diploma. It will be more difficult to break into any career if you didn’t finish high school, but you can go back and finish; one way is through night school. If you have finished high school, adding a certificate is a great idea. You may be currently unemployed or looking for another career and adding a certificate will be very beneficial. Check with your local community colleges, trade schools or employment agencies. Find information about certificate programs that are usually conducted as night classes. These may range from a few months to a year or more, but what you are getting is valuable. These classes are usually taught by someone that is very experienced in their field. You will do a little book work, but the biggest part of these certificate programs will be hands-on, and that is super for you when just getting started. You may just get a certificate from the school, or part of the class may be sitting for some type of final exam that will get you a certificate from the city or state where you reside. 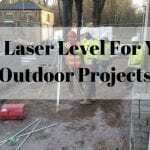 Take full advantage of this perfect, often inexpensive path to the construction industry. Applying for an apprenticeship is what I consider a step above the diploma program. You can apply for both and see what happens. Apprenticeships will last longer than diploma programs, often 1 or 2 years, but there are advantages here as well. Once accepted into an apprentice program, you’re usually already employed. You will attend classes part-time and then work on the construction site under direct supervision part-time. These programs are a little tougher to get accepted in to, but don’t give up!! Brush up on your study skills, read about your areas of interest and keep applying until you get in. This is an excellent way to learn from masters in the industry. Another nice thing here is you usually get paid for going to your apprenticeship classes and working on the job. If you are waiting to hear from an apprenticeship application or waiting for an evening diploma course to begin, you can still get started. This is working your way from the bottom up; it’s how I got started in my career with skills I still highly value today. Check with local hiring agencies and the on-line help wanted ads. Look for entry-level or manual labor jobs. It can be tough going some days, but this is how you learn from the ground up—invaluable skills to be your best at what you do or even own your own company someday. When you show up the first day, be ready to work, and work hard. You are the new guy, so you’ll have to prove you can handle yourself out there. Wear some good quality clothes that are appropriate for the work you are doing. Usually denim jeans and layers for your upper body that you can easily add or remove to keep you comfortable. Invest in a good pair of gloves and work boots or shoes; these will help you work better and keep you comfortable through long days on the job. Wait a day or two to buy tools; see what you need to have and talk to others about what works well; cheap tools will let you down, so be willing to invest in quality tools, clothes, shoes, and gloves to get your job done right. When you are at the work-site every day, working with your new colleagues and friends, you’ll learn a lot about the career field and make some great friends along the way. You may even find other job offers and openings by simply working and being available if something comes up. Building your own network can happen in class, on the job or even around your neighborhood. Once you have selected your career field, and by the way, you can always change fields or add another trade to your portfolio; that never hurts anyone! Whatever your interests are, you’ll be talking about your career, meeting other people on the job, trading your services for the services of others; the list goes on and on of different ways to network with friends, neighbors, and colleagues in the industry. 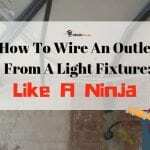 You know, after work one day, wire a friends’ new outside light fixture in exchange for him installing your new toilet!! It happens all the time and a lot more than most would imagine. It’s a great trade-off. This is well known; what you give your attention to, your actions will follow. Prove yourself willing to work hard and learn—your new career is waiting for you! !